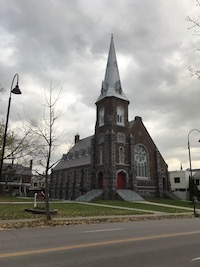 Experience historic Burlington by foot! 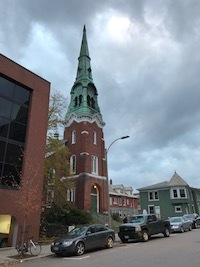 Burlington Walking Tours provides tourists and locals alike with guided walking tours of Vermont's largest city. 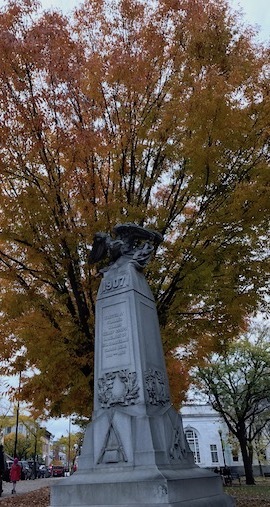 Our tours, featuring a combination of history, architecture, and cultural trivia, are suitable for people of all ages. Established in 2016, we aim to please and delight our guests as Burlington's premier walking tours company. We hope you find our tours educational, healthy, and entertaining. Share your experience with us on social media with hashtag #WalkBurlington. $5 tickets for our one hour tour are available through Eventbrite. Click the "Register Now" button below to reserve your space. By requesting a ticket, you agree to our terms of service. 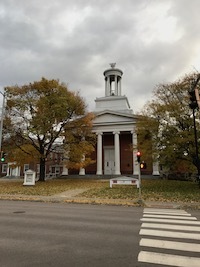 Tours meet in front of the Unitarian Church at 152 Pearl St., Burlington, VT, 05401 at 2 PM on selected Saturdays (see the calendar of available dates below). Tours are approximately one mile and last for one hour. Participants should be comfortable walking outside in variable weather up and down inclines. We suggest wearing comfortable shoes. Our tours carry on regardless of the weather. However you should use your own judgement regarding whether or not you're comfortable in given weather conditions. All sales are final. That said, if you are unsatisfied with your tour in any way, please do provide us with some feedback by writing to us. Yes, as long as you let us know before your scheduled tour. Tip at your own discretion. If you enjoyed one of our tours then we'd love to hear from you. Email us about what you liked and please mention whether you give us permission to use your name and hometown. If you have questions, concerns, or feedback then do not hesitate to reach out to us. Tag your social media with #WalkBurlington. 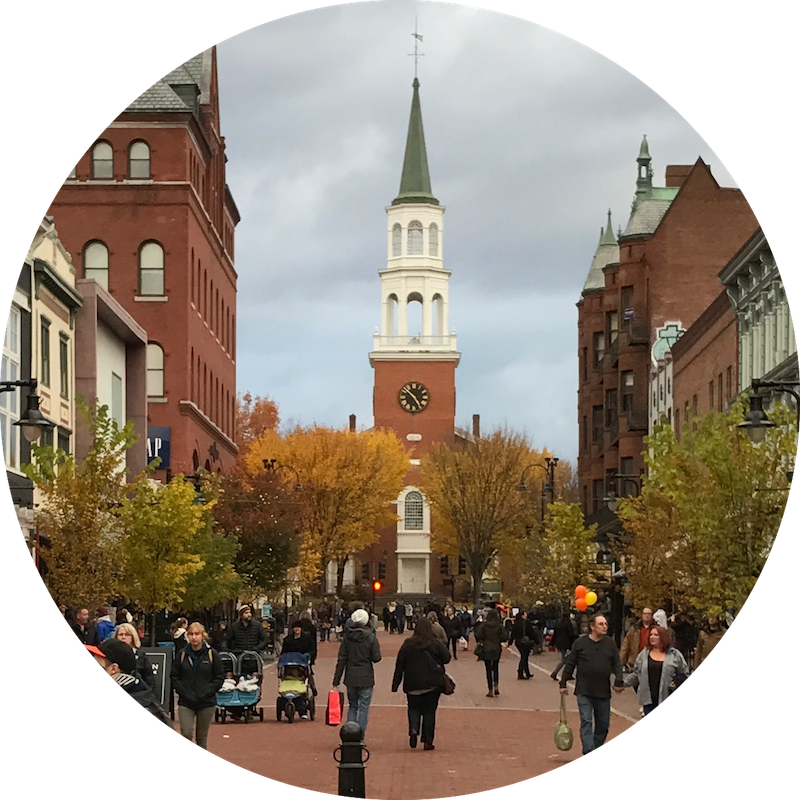 We provide Burlington, Vermont's premier guided walking tour. © 2016 Oak Snow Consulting LLC. 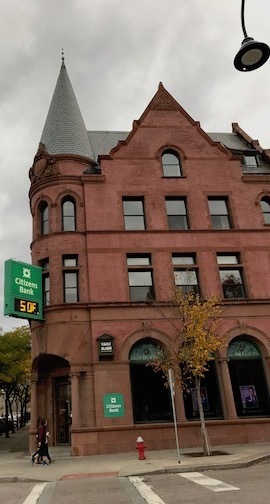 Burlington Walking Tours is a DBA of Oak Snow Consulting LLC. All rights reserved.